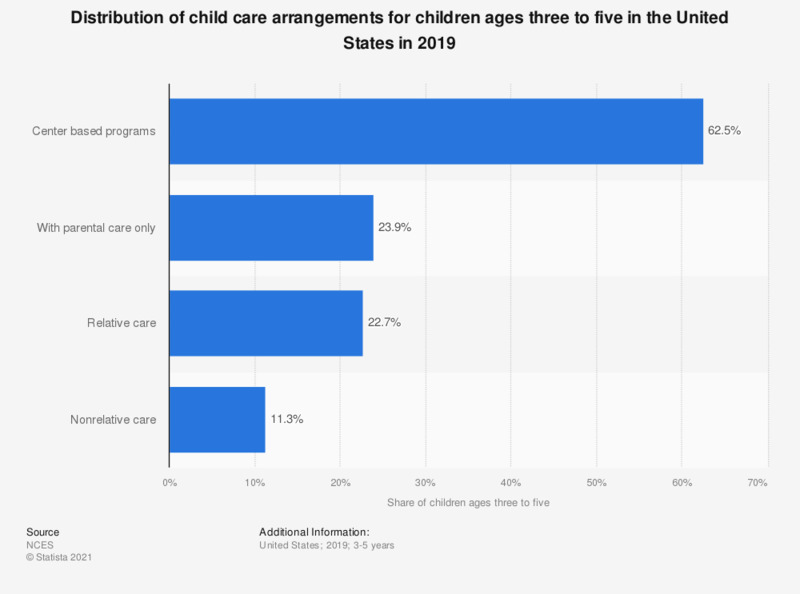 This statistic shows the distribution of child care arrangements for children three to five years of age in the United States in 2016. As of 2016, 60.9 percent of children ages three to five that had any nonparental care were in center based programs. Everything On "Mothers in the U.S." in One Document: Edited and Divided into Handy Chapters. Including Detailed References.